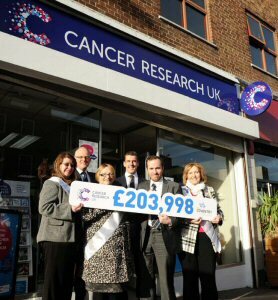 Coventry Building Society is delighted to announce that its Race for Life Bond has generated an impressive donation of £203,997.75 for Cancer Research UK. The money will help to fund the charity's research into the early diagnosis of cancer. Matt Collis, from Cancer Research UK said, "We know that people are more likely to survive cancer if it's found early enough, but currently less than half of all cancers are diagnosed at a stage where successful treatment is possible. If more cancers were diagnosed early, and treated appropriately, up to 10,000 deaths could be avoided every year. We are really grateful to everyone who chose to invest in the Race for Life Bond; £203,997 is a fantastic amount of money and will help us to continue our life saving research." Andy Deeks, Head of Products at Coventry Building Society: "We are delighted with the success of the Race for Life Bond and hope that today's donation will help improve the prospects of thousands of cancer sufferers. Our range of affinity accounts for charities has raised nearly £10 million in the last six years and we hope to continue this throughout 2014 and beyond." Mal Haddon, volunteer with Cancer Research UK said, "Sadly most of us will experience cancer at some point in our lives, either personally or through a family member, friend or work colleague. My mother died of cancer of the oesophagus 20 years ago, which is why I started volunteering as a fundraiser for CRUK. Early diagnosis is crucial. Today's donation from Coventry Buiding Society will help us to continue this work so that more people can survive this dreadful disease." The "Race for Life Bond" was a 22 month, savings bond paying the highly competitive rate of 2.10% AER/gross p.a., fixed until 30 April 2015. 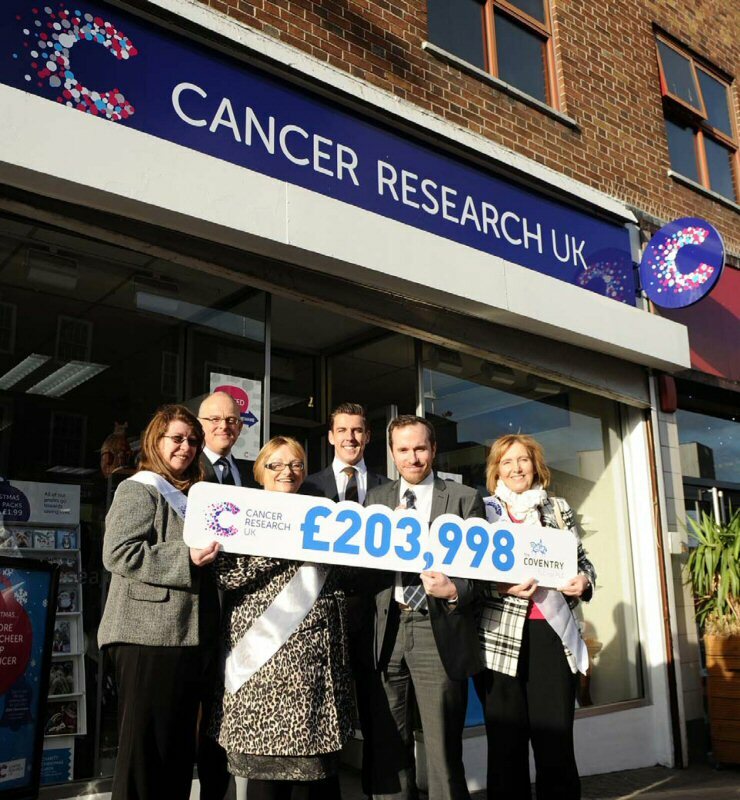 As part of this product, the Society pledged to donate a sum equal to 0.10% of the total balances held in the bond to fund Cancer Research UK's life-saving work. • Coventry Building Society is the third largest building society in the UK with assets exceeding £28.6 billion. • The Coventry Building Society aims to support the communities in which our members live. Whether that's by raising funds for good causes, offering more direct support to local organisations or simply by reducing our impact on the environment, we make a difference to local people. • To view our mortgages, savings accounts and current accounts please visit www.thecoventry.co.uk. To view the photo associated with this press release, please visit the following link: http://www.marketwire.com/library/20140114-CoventryBuildingSociety800.jpg. Photo left to right: Jane Ingham - CRUK volunteer, Ed Sadler - Coventry Building Society Marketing Product Manager, Lizzie Melvin - CRUK Local Fundraising Manager, Andy Deeks Coventry Building Society Head of Products and Propositions, Matt Collis CRUK Business Acquisition Manager and Mal Haddon - CRUK volunteer.